DETROIT, Mich. — Coach LaCema Womack continued Tuesday’s (06/26) signings with a commitment from former Flint area standout, Devin Willis. 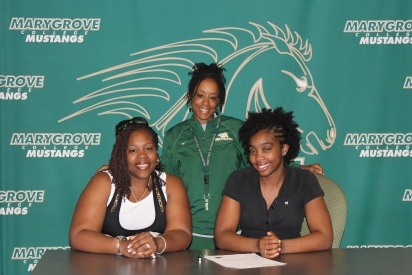 The former Carman Cavalier is set to join a stellar group of women’s track student-athletes heading into the 2012-13 season. Willis, a 5’3″ relay specialist and sprinter, is fresh off a great career at Flint Carman Ainsworth High School. The four-year varsity runner placed sixth at states as a sophomore, and was named All-Conference three times in the 4×100 and two times in the 4×200. All-Region honors were also in order for Willis in the 4×100 after her sophomore and junior campaign. The performances helped the Cavaliers to a Big Nine Conference Championship during Willis’ career. Coach Womack on Willis: Devin will be coming in as a sprinter that will bring plenty of attention to our young, growing women’s program. Her past performances have reflected growth and aÂ competitive range to compete at the NAIA level. She is a solid athlete that is coachable and is exactly what we look for as we move into our first year in the WHAC.